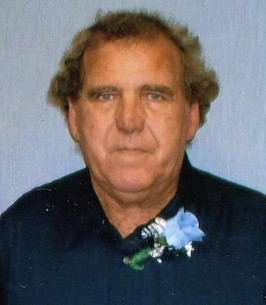 Mark Bade Morgan age 67 of Mobile, AL died on November 15, 2018 at his home. He was born July 15, 1951 in Thomasville, AL. He was a member of Yellow Bluff Baptist Church. He is survived by his mother, Annie Louise Williams; two brothers, Donnie Wade Morgan and Paul Jeffery Morgan (Debra Gustafson); sister, Marcia Young (Bruce Raymond); special friend, June; his chosen daughter, Tammy Rodriguez (Angel Robert); and little buddy, A. J. Rodriquez. He was preceded in death by his father, John Harper Morgan and sister, Diane Morgan. Visitation will be held at O’Bryant Chapel Funeral Home on Saturday, November 17, 2018 from 10:00 am until the 11:00 am service time with Rev. Walter Smith officiating. Burial will follow at Kelly Cemetery in Pine Hill, AL. To send flowers to the family of Mark Bade Morgan, please visit our Heartfelt Sympathies Store.